For those in the restaurant and food service industry, one’s name and reputation means everything. And nothing can ruin a restaurant’s reputation faster than a pest infestation. No matter how good your food, service, and ambience, no matter how hard you have worked to build your restaurant into a source of pride, a single sighting of a cockroach, mouse or fly can tarnish the reputation of your business that you so painstakingly built. It’s not fair, but with the intense competition of restaurants here in New Jersey, it is a fact of life. When it comes to insect infestations, diners have no mercy or forgiveness. They don’t give restaurants a second chance. As a general rule, customers who witness an infestation never return and you can expect them to relay their experience to friends and acquaintances. As restaurant owners are all aware, the food preparation area must be in tip-top shape. Restaurant inspections are posted in newspapers and online for everyone to see. An unsatisfactory inspection or a conditional with a major violation is bad for business. It is a challenge to stay in compliance with the Sanitary Code; a restaurant requires constant vigilance and those restaurants that succeed know that it is a team effort requiring the cooperation and participation of all restaurant employees. The last thing you need to worry about is bugs. With Cowleys pest control, we become an integral part of your restaurant’s team. We work with you to make sure that food is adequately stored and protected so it does not create conditions for infestations. And when that inspection is completed, Cowleys wants to see that white evaluation placard showing “satisfactory” as much as you do. Anything else just creates more headaches and is potentially bad for business. With Cowleys professional sanitation inspections of your facility, restaurants can stay one step ahead. We recognize that your pest management needs are critical to the success of your establishment. And since food for human consumption is on premises, the use of applications as part of your pest management needs is sensitive. It requires a specific knowledge and expertise in the food service business. At Cowleys, we have tailored our Integrated Pest Management (IPM) program to meet the requirements of restaurant and food service environments. We actively partner with restaurants and food service operators to keep facilities pest-free and in compliance with state regulations. Our program is designed to protect your reputation and brand, address your concerns related to pests, and provide a sophisticated IPM program geared specifically for restaurants. For restaurants to be competitive and profitable, they must, above all else, be pest-free. With restaurants, pest infestations immediately trump any other issue; it is priority number one. 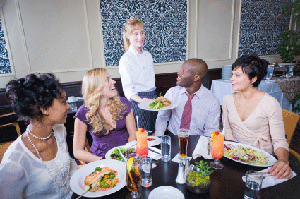 Resolving infestations in restaurants must be done expeditiously and discreetly. But the best course of action for any restaurant is proactive prevention. Cowleys offers safeguards to protect your establishment from mice and rats, cockroaches, and ants. We are especially proud of our solutions that address fly control. Flies are arguably the most visible and problematic pest in the restaurant business. The key is fly prevention; you don’t want to deal with fly infestations when they are already buzzing around customers and are landing on plates. In the restaurant business, reputation and customer good will is everything. And there is nothing that can decimate a restaurant’s reputation faster than a bug infestation. Pest control is not the place to cut corners. For your own peace of mind, hire an experienced pest control professional like Cowleys and know that your back is covered. Cowleys also offers professional sanitation inspections for your facility in conjunction with out ongoing pest management programs. We “tell it like it is,” but in the strictest of confidence -- just to you. Our inspection reports are for your eyes only and they remain strictly confidential. We’ll pinpoint any deficiencies or possible sanitary code violations so they can be timely corrected before the inspection. For restaurants, it’s smart business.